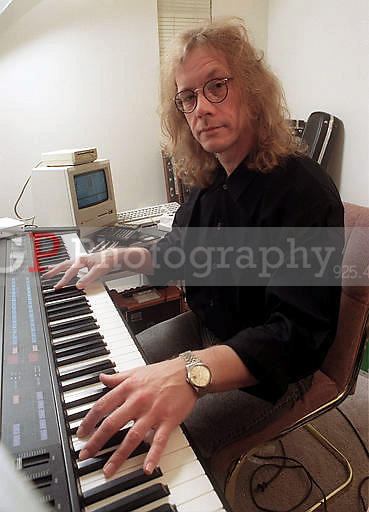 Warren Zevon plays a synthesizer in his West Hollywood, Calif., apartment in October 1989. Zevon, who wrote and sang the rock hit ``Werewolves of London'' and was among the wittiest and most original of a broad circle of singer-songwriters to emerge from Los Angeles in the 1970s, died on Sept. 7. He was 56..(Photo by Alan Greth).